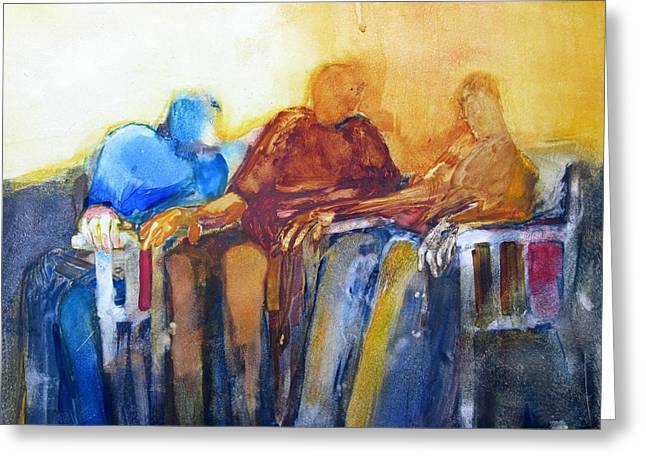 T. G. I. F. is a painting by Helen Hayes which was uploaded on October 7th, 2010. 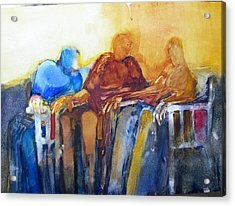 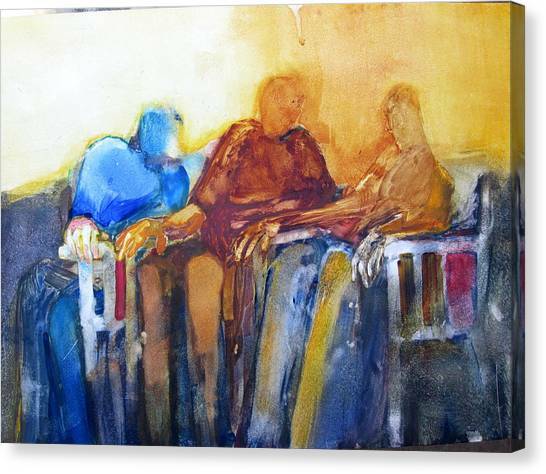 This is an abstract painting of three figures seated on chairs. 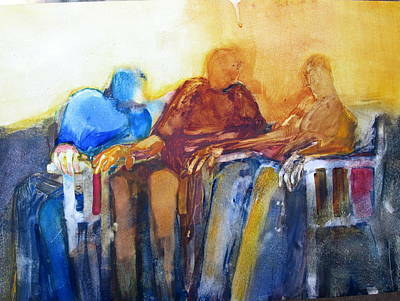 The colors are blue, red yellow and gray. 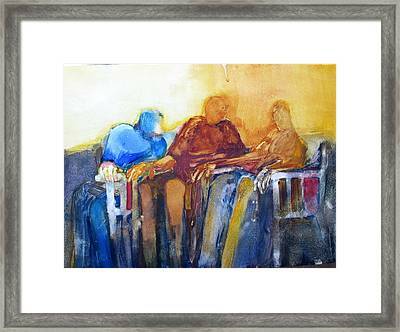 The painting conveys a feeling of warmth. Well done, Helen! 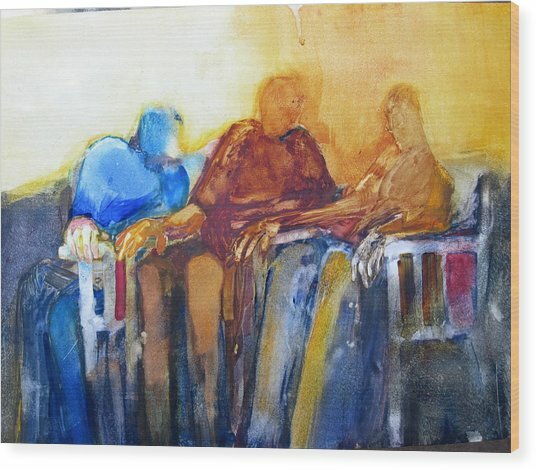 I love the loose feeling and the color composition!